I am a 25-year-old college graduate who is ambitious and very determined. I am passionate about improving my own situation and helping those around me-my family. For years, I've wanted to own a business; I want to set my own hours, determine my own profits, and use my earnings as I wish. To achieve this, I want to open a restaurant. I became interested in the restaurant business by watching cooking shows on television. I love watching people cook because I find it soothing and familiar. Therefore, I thought it would be a wonderful idea to use my love of cooking to start my own business. One Of The Most Important Key Areas Of Entrepreneurship Is Quality Customer Service. This requires a distinguished level in people skills. I believe that such skills are the recipe for a happy customer. This feeling is really sticking with me at the moment. Despite My Desire To Operate My Own Restaurant, I Face Several Challenges. First of all, I have a lot of student loan debt. Additionally, my savings has dwindled due to personal expenses while trying to find a job in my career area. It would take a magic wand to change my situation, but if I had one I'd surely wave it over my finances! Changing my situation for the better would give me the ability to work for myself. 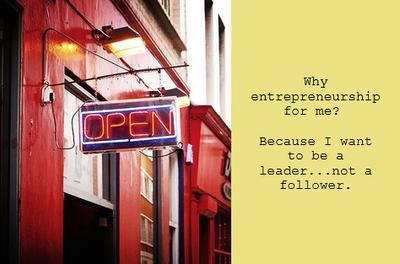 I could follow my dream, open a restaurant, and be a leader instead of a follower. This would mean the world to me because I could be the first successful person in my family. I could use that success to help them as well. What a peace of mind that would bring! Along With My Finances, My Own Personal Fears Are Stopping Me From Being An Entrepreneur. The business restaurant start up industry is a tough industry to work in because it is highly competitive, and it's a sink or swim kind of scenario. I need to find some ideas to finally make the plunge, and I haven't discovered any yet. I do have some general ideas, though. To Improve My Situation And Make It Feasible For Me To Open A Restaurant, I Could Work Extra Hours And Pay Down My Debt. Additionally, I could save money as well as maintain a worthy credit score-this would be helpful should I need a loan to get my business off the ground. Regardless of my dreams, this is the reality of my life. The only thing that I can do is turn my negatives into positives. Because I'm determined to make my business restaurant start up dream succeed!